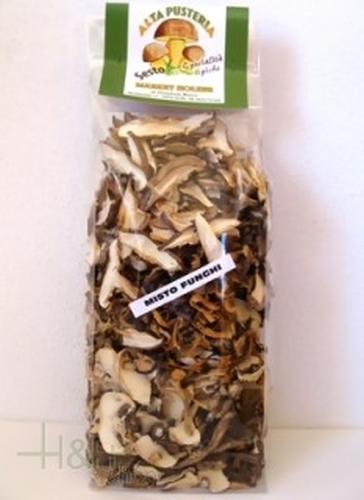 Buy now this product together with Dried Fungi Boletus Dolomites 50 gr. ready for shipment: in stock Dried Fungi Boletus Dolomites 50 gr. Original Belly Bacon L. Moser app. 350 gr. The belly bacon is suited very well as an ingredient of the known South Tyrolean bacon dumplings.